A further two major quakes were recorded yesterday. A magnitude 6.0 earthquake struck to the south of the Alaska peninsula early on Thursday, but the National Weather Service said no tsunami warning has been issued. 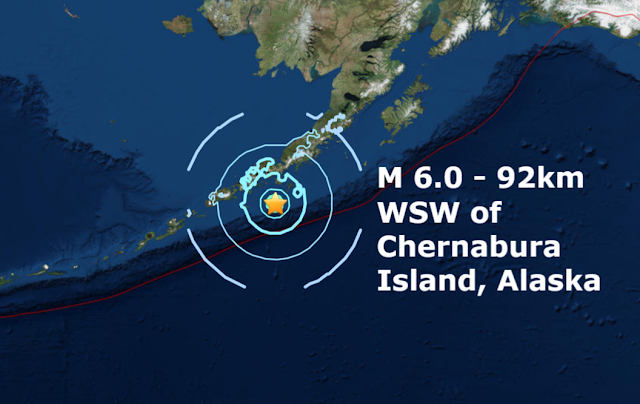 The quake was centred about 62 miles (100 km) south-southwest of Sand Point, Alaska, at a depth of 10.6 miles, according to the U.S. Geological Survey. Later in the day, a magnitude 6.0 struck Papua New Guinea. The two quakes bring the total of major quakes in July to 5 and the yearly total to 49 which is 6 less than the at the same time last year when 2017 finished with the lowest count of major quakes this century with a total of 111. Yesterday's quake was the 14th major earthquake to strike Papua New Guinea this year, more than a quarter of this year's global total.